Saudi Arabia’s refusal to extradite suspects in the killing of Jamal Khashoggi is very disappointing and the world should seek justice for his case under international law, the director of communications at the Turkish presidency told Reuters on Dec. 10. Since Turkey had seen little evidence that Saudi prosecutors will shed light on the Oct. 2 killing at the Saudi consulate in Istanbul, “it will be in the best interest of the international community to seek justice for the late Saudi journalist under international law”, Fahrettin Altun said. Altun stressed that the negative response from Saudi Arabia's Foreign Minister Adel al-Jubeir to Ankara's extradition request was "very disappointing." "We don’t extradite our citizens," Jubeir has said in the 39th Gulf Cooperation Council (GCC) news conference on Dec. 9 when he was asked about Turkey's request. Khashoggi, a frequent contributor to The Washington Post and a prominent critic of Crown Prince Mohammed bin Salman, was killed on Oct. 2 inside the Saudi Consulate in Istanbul. 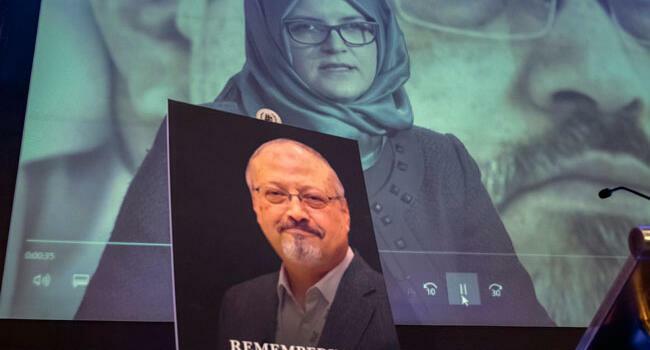 The Istanbul Chief Prosecutor’s Office filed an application Dec. 5 to obtain arrest warrants for Ahmad al-Assiri and Saud al-Qahtani, described in court documents as being “among the planners” of the murder of the Washington Post contributor. Turkey had filed a request to Saudi Arabia for the extradition of 18 suspects, including 15 members of the alleged assassination squad. Assiri and Qahtani were reportedly suspended from their duties but they do not face criminal charges. "I can't breathe" were the final words of Khashoggi when he was killed at the hands of Saudi agents in the consulate, according to a CNN report released on Dec. 9.